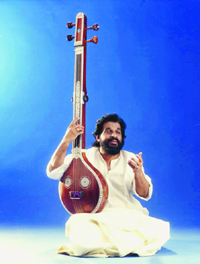 Yesudas strikes a perfect note between classical and film music and has enchanted music lovers for more than four decades. Ravi Menon captures the man and the essence of his timeless music. The charm of Yesudas’ voice is easier felt than described. It gushes straight out of his heart, flows gently like a stream gaining lustre on its path, leaving no aspects untouched and missing no beauty along its way in all three octaves. The more you hear him, the more you love him. Even 44 years after he made his entry into the world of film music, Kattassery Joseph Yesudas continues to woo millions of music lovers all over the country, and in particular the Malayalees, with a golden voice that has survived the test of time. It was the best of times and the worst of times — the best if you were a talent for sensuous prose cadences; the worst if you were a 59-year-old Englishman from Leicester with a suavely charming reputation and a talent for mixing up fiction and fact to sparkling effect. Whenever one used to read comics or watch animation movies featuring Thor, the superhero of Scandinavian mythology, one used to wonder why didn’t they bring out similar stuff on our own Hanuman. But that was a teenager’s fancy.